The earth is divided by convention into degrees of latitude and longitude. They define our place – or someone else’s – on the globe. The degrees are further divided into minutes and seconds, and, quite right, time zones are also based on degrees of longitude. 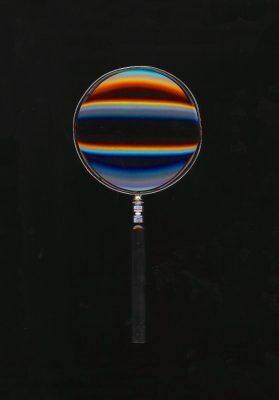 This means that our whole life – where we are, how long we are there, how we live the present moment, how we encounter each and hopefully not part ways – consists of minutes and seconds and of course smaller units of time, blinks of the eye. Our life is time. Of course it’s also sensations, emotions, memories and things that are forgotten, but all these and the other contents of life are defined and delimited by time, both measurable and unmeasurable. Trains of thought along these lines and the reflections that they arouse have long been in the background of Marko Vuokola’s art of photography, video and installation. In his present exhibition, Vuokola displays a series of photographs of an Omega Speedmaster watch. 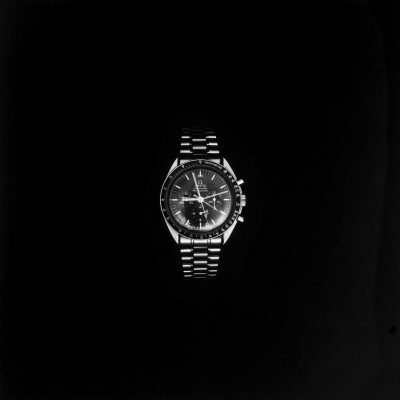 One to One contains two pictures of the watch. 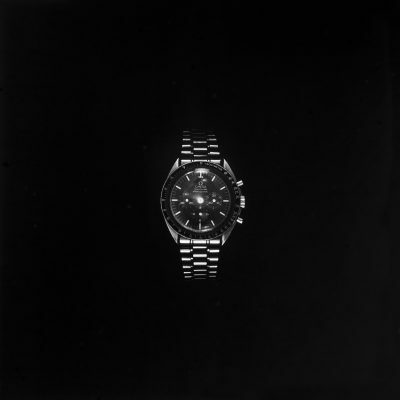 On the one hand, the title refers to the watch in the picture being precisely the same size as the actual watch, 1:1. On the other hand, the time shown by the watch on the left is a minute before one, one to one. The watch on the right is just past one. 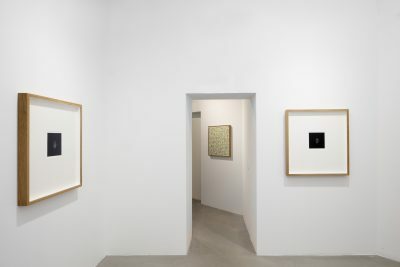 In this way, the pair of images is related to Vuokola’s earlier series of works The Seventh Wave, showing twice views captured by the same camera with some interval of time unknown to us between the photographs during which some change has taken place. 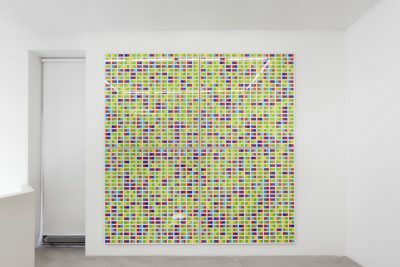 The perspective is now different: the “theme” of the piece is time, its duration precisely shown to us by the image. These are analogue photographs taken with a Hasselblad camera from the 1960s. 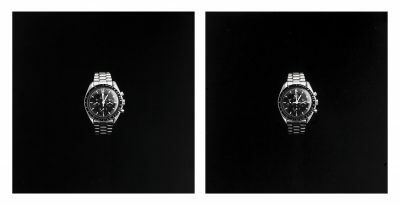 Both the Omega Speedmaster and the Hasselblad have a connection with the Moon, our most familiar heavenly body. Both were among the equipment of the first astronauts to land on the Moon. The Moon and its cycles are also an important measure of time for us. 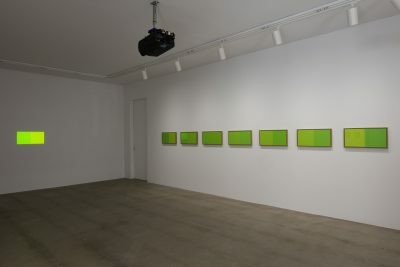 Green Flash, the video projection that has lent its name to the exhibition, was made without cameras or lenses, by coding from the colours of the spectrum, the RGB universe. 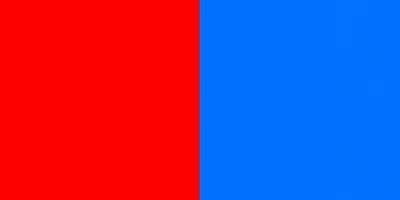 In the projection, two juxtaposed fields of colour shift without interruption from red to blue and from blue to red. Halfway in the duration of the shifts both fields flash green for an instant. The green flash is an optical phenomenon that is also present in nature. It can be seen just after sunset or just before sunrise, for a second or two. 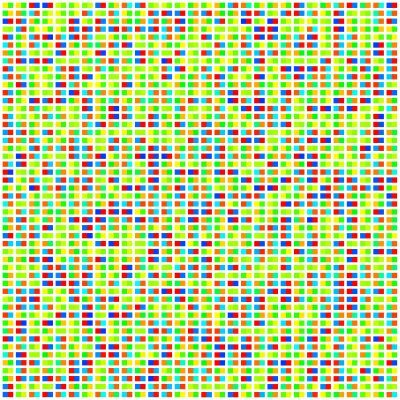 Accompanying the Green Flash video projection are seven still images of pairs of colours, one of them pure green, and a four-part piece showing all 1,500 combinations of colours of the video in random order. 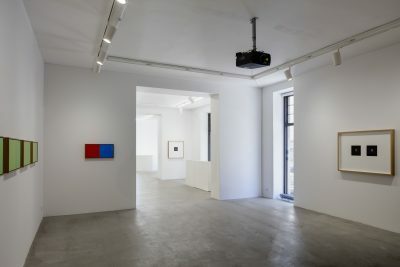 The other works on show include photographs of Glenn Gould’s recordings of Bach’s Goldberg Variations from 1955 and 1981. The later one is 12 minutes and 44 seconds longer than the earlier recording. The different lengths of the sound tracks can also be seen in the photographs of the records. Did Gould slow down as he grew older? Hardly. His idea of playing music, of the time required for it, probably changed. The works of Marko Vuokola’s exhibition consider things like this in intersecting perspectives. They are intelligent and wise, allowing us to consider issues of seeing, knowledge and time, and the mysteries of life.